The gambling law in Tennessee is probably as tough as it gets in America. In the volunteer state, legal betting is limited to only the state-wide lottery, a few horse tracks, handful of regional lotteries and then an exceptionally limited selection of charitable gambling options. 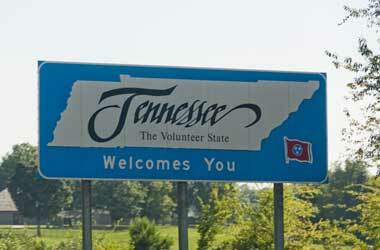 With such strict laws such as the gambling laws in Tennessee, there is little if any room for exceptions. No exception is available at all for private games enjoyed at home, social gaming, games at the office or game in any other private places. According to Tennessee law, social gambling, casino gambling, dog racing bets and poker are illegal. Horse race betting, lottery, daily fantasy sports and charitable gaming are legal while online gambling is unspecified. The state is basically, completely, surrounded by other states offering gambling opportunities at casinos and gambling venues that are only a short drive away from the Tennessee border, including the Harrah’s Cherokee, Mississippi and Tunica. Tennessee’s tourism is booming and continues to be one of the fastest growing industries, generating over $18 billion, of which around $1.6 billion goes to the state per annum in the form of taxes. The two major cities are Memphis and Nashville, in these Elvis Presley and Dolly Parton build their own cottage industries, so both cities are national music destinations. Many tourists also visit the state because of the Smokey Mountains. According to tourist statistics, Nashville is the most popular area, although the nearest casino is two states away, which means anyone who seeks gambling entertainment need to drive two hours to get to the Metropolis IL Casino, which is relatively small. Tunica is only an hour’s drive from Memphis, the area is struggling and has a 30% poverty rate which led to the closing of the Harrah’s Casino. The only legal option available to Tennesseans is the state lottery, legalised in 2002, which only started officially in 2004. However, it enjoyed instant success and within the first-day ticket sales reached $10.4 million. In general, the state lottery funds the educational system with over $4 billion. Even in Tennessee the laws and more specifically the gambling laws can change, and in 2016, thousands of citizens welcomed the legalisation of daily fantasy sports betting. Early in 2017, Larry Miller, a Democrat that represented the Memphis area proposed the legalisation of casino gambling in Tennessee. The bill died in less than a month, and after this, no further actions took place to legalise gambling in the Volunteer State. Gambling legalisation is becoming more accepted throughout the US, while the gambling laws in Tennessee remains restrictive. The state allows horse betting and a state lottery and pyramid clubs, the possession of gambling devices and promoting any form of gambling remain strictly prohibited. There are two types of charges for illegal gambling, which includes gambling promotion and gambling. Those caught gambling would face a charge Class C misdemeanour punishable by a fine ranging from $1 up to $50. By setting up a poker tournament you the charge is a Class B misdemeanour which carries a fine of up to $250. The punishment increases considerably for a Class E felony and by financing, supervising a gambling operation or owning one, the fine is $10,000 or a prison sentence of six years. Still, there is no law that states online gambling is illegal, so many Tennesseans enjoy casino gaming entertainment from their desktops at home or on mobile devices. Online casinos enable players residing in Tennessee to enjoy thousands of games including slots, table games, card games, progressive jackpots, video poker and fun games such as scratch cards. Those seeking more involved and interactive gaming can enjoy live dealer games, and several online operators also offer sports betting with good odds. Players who enjoy poker tournaments can partake in both mobile devices and desktops to enjoy competing against others from around the globe, without leaving their homes or driving for hours. Just like there are no laws that forbid gambling in neighbouring states, there are also no laws that prohibit online casino gaming. The Tennessee law, like so many other laws around the country, have not yet revised laws to include the rapidly growing online casino industry. For players who adore online gambling, it is great news since nothing stops them, currently, from joining online operators and enjoying a few hours of high-quality gaming. It is unlikely that the laws will change anytime soon and with plenty of online casino welcoming players from Tennessee with open arms, it seems to work just fine. As long as players join online operators that are licensed by reputable gambling authorities such as the Malta Gaming Authority or the UK Gambling Authority, they can relax knowing that the casino adheres to all the rules and regulations that are required by all license holders. Both licensing authorities put the safety and security of players first and go the extra mile to ensure a fair gaming experience for all. Several online casinos happily accept players from Tennessee and to show their appreciation for registration a no deposit bonus awaits new players. The first deposit and often up to the first three deposits, welcomed via high percentage bonuses, while membership unlocks a buffet of other bonus treats. Regular monthly bonuses include second chance bonuses providing players with an additional chance to win back some of their previous losses, reload bonuses, free spins, raffles and other special promotions. Members that remain loyal to a casino reap a variety of rewards via loyalty point systems, which enable quick progress through several bonus levels. Reaching VIP status unlocks additional benefits including personalised bonuses, free bonuses, and higher point conversion rates as well as priority withdrawals. Online casinos catering to international players offer a huge variety of different games to ensure everyone gets the most out of their online experience. The gaming variety also includes a huge selection of betting options customizable to perfectly suit each player’s individual needs and budget requirements. Depending on the game type, betting can start from as little as $0.01, while VIP games allow maximum bets worth thousands of dollars. Variety and convenience are key at online casinos, and therefore the cashier section features a list of trustworthy deposit and withdrawal methods that ensure safe and fast funding of casino accounts and the quickest possible options for the cashing out of winnings. Banking methods include e-wallets such as Neteller and Skrill, credit and debit cards including Visa and MasterCard, bank transfers and cryptocurrencies such as Bitcoin and Litecoin. Once your lucky day arrives and winnings stream in, it is important to select the quickest option offered for withdrawals. What determines how quickly winnings reflects in players banking accounts is the pending period as well as the payment option selected, Bitcoin payouts take a couple of hours at most, e-wallets can take up to a maximum of 24 hours and credit card up to three business days.